Instagram has been feverishly updating its app and Web versions in recent weeks. Not only has it added support for multiple accounts and Web notifications, it’s also seriously messed up its timeline. Yep, Instagram has made a mistake in ditching its chronologically ordered feed. The app is now letting an algorithm decide what’s most relevant to show you, instead of a time-ordered selection from the people you’ve chosen to follow. So far, all the change has done is cause desperate bloggers, brands and ‘Instagram celebrities’ to post numerous pictures asking people to turn on push notifications for their account so they can guarantee some views. If you want to continue seeing pictures of myself with random animals and me generally being a douchebag then go ahead. I don't blame you if you don't though. Instagram is doing these bloggers a disservice. Making a living off the app isn’t easy, no matter how much the carefully produced content might make it look that way, and by not guaranteeing that these people’s thousands of followers will definitely see their posts, they could lose valuable promotional opportunities. The only way for bloggers, brands or anyone to guarantee their followers are seeing their posts in the feed is to make sure everyone has push notifications turned on for your account, which is an unlikely scenario. I follow a lot of bloggers on Instagram and while it’s disappointing that I don’t see their latest posts when I open the app anymore, there is no way I want to receive a notification every single time they all post either. If I want to see their posts and they haven’t popped up in my feed, I have to search for them myself, which is an awkward four clicks away from my profile or the main feed. For viewers, Instagram may have had the best of intentions by saying it would be prioritizing posts of people you’re closest to or it reckons you care about the most and show those. But I would argue that I like everyone I follow on Instagram for different reasons – that’s why I follow them. Sure, there are a few selfie addicts whose faces I could do without seeing every single time I log on but I would rather put up with them than fifty push notifications for my favorite accounts every time they post. Right now, my feed has upwards of twenty posts from bloggers asking their followers to turn on notifications and as annoying as that is, it’s the only way these people can confirm their content is being viewed. It’s a necessary evil when it comes to selling yourself and doing promotional content on the app now. While it’s understandable that bloggers are annoyed about the changes, you might think people would be keen to keep an eye on their favorites but besides a few fanatics, the general reaction from the public regarding the pleas to turn on notifications is pretty negative. If I was relying on Instagram as a form of income, I would probably be really peeved right now. Changing the experience of the app for its users when nobody was openly complaining about it is proving to be a bad move for the photo-sharing service. It has made some positive updates in recent weeks too, but nothing is overshadowing the negativity some of its biggest users are expressing at the timeline change just yet. With Snapchat becoming a more legitimate competitor for Instagram every day, it should really be listening to what its users are saying. The ephemeral messaging service can’t offer everlasting timelines but it is giving everyone who uses the app unbridled access to its 100 million daily active users, which I reckon sounds pretty appealing to most Instagram users right now. On a more positive note, the company also added its Discover tab to the Web version this weekend, making it easier to find new people to follow. 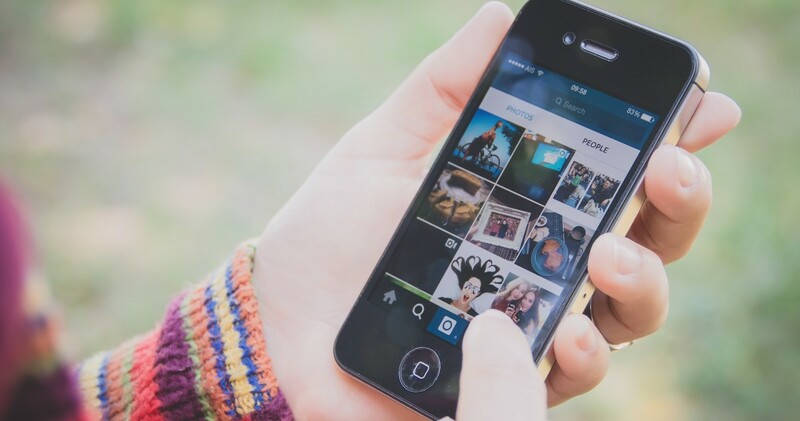 While that doesn’t necessarily mean you’ll see the new people in your feed, thanks to its previous update, it could be a sign that Instagram will soon offer posting from your computer. I have contacted Instagram about the apparent backlash and the changes to its Web version. I will update this post with the response. An Instagram representative has told TNW that the new feed is still in testing so not everyone will have a non-chronological timeline just yet. They also said that the company is working closely with the community to make sure it gets it right before rolling the feature out more widely.